Sun-burn, sand, sea-bream, patois, mystery and drama! A new comedy which follows the journey of a disconnected actress who finds herself lost, in danger and racing against time. Some say that Talia is lost in life - but as far she's concerned - all she's missing is the film crew and is desperate to get back on location. But is it too late? Has Talia's past finally caught up with her? 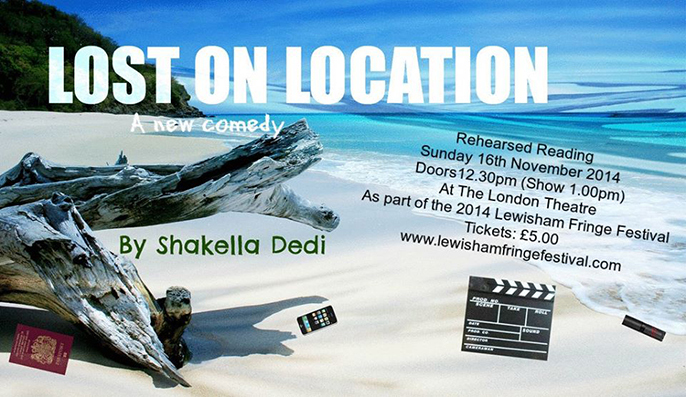 Lost on Location is a new comedy drama featuring in this years Lewisham Fringe Festival at the London Theatre. This is a staged rehearsed reading.